Sergeant Alfred Barker was awarded the M.M., for gallant and distinguished service in operations at Rawang which is located in Selangor, Malaya on the 29th February 1952. London Gazettes Supp. 39584, page 3523. National Archives file WO 373/131/7. 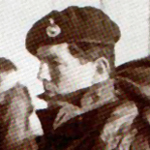 Marine Nicholas Barnett, a GPMG gunner, received a Mention in Despatches in recognition of service during the operations in the South Atlantic on 12 June 1982. Marine Christopher Bevan died in a traffic accident in Plymouth. Lance Corporal Peter Boorn received a Mention in Despatches in recognition of service during operations on 12 June 1982 at Mount Harriet, Falklands. Sergeant William Carruthers was awarded the D.C.M. for his leadership and gallantry during operations in Malaya. Marine Timothy Coates, serving on attachment to the UNHCR in Sarajevo, was shot dead by personnel manning a Bosnian Government checkpoint in the city. He was off duty and wearing plain clothes at the time. Sergeant Michael Collins was awarded the MM for his actions during operations on the Falkland Islands. 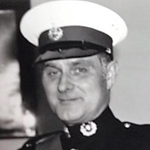 Marine Thomas Collins was shot on Indonesian territory on 16 March 1966, the same day as Lt Clark from L Coy 42 Cdo RM., while taking part in a cross-border operation during “Confrontation”. He was seen to fall but the circumstances of the operation made it impossible to recover his body at the time. Company Sergeant Major Horace Colwill died in Egypt. 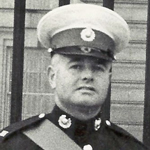 Marine Grahame Cox was shot whilst on mobile patrol on New Lodge Road, Belfast, Northern Ireland. 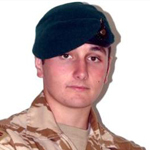 Marine Thomas Curry died instantly as a result of enemy small arms fire when elements of 42 Commando were engaged in close-quarter fighting with the Taleban near Kajaki, in Northern Helmand. Acting Corporal Garry Cuthell received a Mention in Despatches in recognition of service during the operations in the South Atlantic. 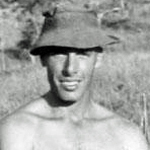 Sergeant Peter Davidson was accidentally killed after triggering a base camp defensive claymore mine during operations in Borneo. Corporal Michael Davies died in service, cause unknown to this archive. Acting Captain Owen Davis was awarded the Conspicuous Gallantry Cross in recognition of gallant and distinguished services in Afghanistan during the period 1 October 2012 to 31 March 2013. At the time of the award he was serving as as a Cultural Advisor in Helmand Province mentoring the local Afghan Police. Sergeant Donald Dennis, from Plymouth, was killed by a sniper during Operation Musketeer, the Anglo-French Invasion of Port Said, Egypt. 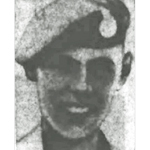 Marine Bryan Eatough was shot during an ambush in Malaya. Corporal Michael Eccles was awarded the MM for his actions during operations on the Falkland Islands. Lance Corporal Anthony Evans died in service, cause unknown to this archive. 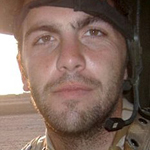 Marine Tony Evans died during operations in Afghanistan. 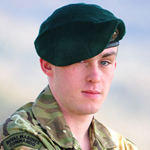 He and Marine Georgie Sparks, both of J Company, had been conducting a foot patrol to the north-west of Lashkar Gah in Helmand province. Marines Evans and Sparks had moved on to the roof of a compound when, at around 0900 hours, there was an attack by insurgents armed with rocket-propelled grenades and they were badly wounded. Both received immediate medical attention and were moved to a secure location before being put on a helicopter to be transferred back to Camp Bastion. Marine David Fairbrother, Kilo Company, died whilst deployed as part of Combined Force Nahr-e Saraj in support of an Afghan National Army (ANA) patrol into the village of Old Khorgajat. Just under two hours into the patrol they were engaged with small arms fire from close range and Marine Fairbrother was fatally wounded. Despite the best efforts of his colleagues to administer first aid, Marine Fairbrother died of his wounds. Marine Ronald Formoy, Lima Company,died during an action which resulted in the rescue of hostages taken and held at Limbang, Sarwak. 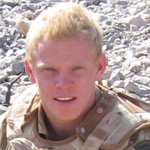 Sergeant Cecil Foster died whilst deployed overseas with 42 Commando RM. Marine Roger Fowke is reported to have died in a road accident. Read more about FOWKE, Roger M.
Marine Adam Gilbert was the victim of an accidental shooting when his patrol tried to stop a stolen car at a checkpoint on the New Lodge Road, Belfast. Marine Alan Goulden died in service, cause unknown to this archive. 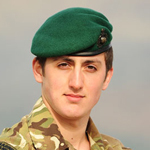 Corporal Rowan Hannah died whilst deployed overseas with 42 Commando RM. Lance Corporal Nigel Higgins died in service, cause unknown to this archive. 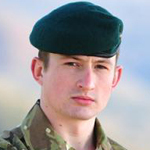 Surgeon Lieutenant Peter Hodgson, attached to 42 Commando RM, died in a training accident in Norway. Also killed was Mne. Stephen Jacques. 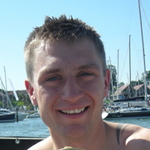 Marine James Holloway was found dead on board the RFA Fort Rosalie which was moored in Dubai. Acting Corporal Gilbert Howe was awarded the D.C.M. for his gallantry on 21/22 February 1951 whilst attached to 40 Commando RM during operations at Kampong, Upper Perak, Malaya. He had been recommended for the M.M. but was awarded the D.C.M. .
Corporal David Hunt was awarded the MM for his actions during operations on the Falkland Islands. 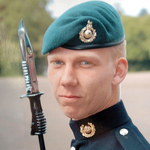 Marine Jamie Hutton died when a land rover overturned on a training exercise at Lulworth firing range, near Weymouth. Jamie Hutton joined up at the age of 20 and excelled in training, winning the Charnock Shooting Trophy and earning himself the nickname of "The Colonel". He joined K Company 42 Commando RM in May 2006 and served in Afghanistan before becoming a sniper instructor at the CTCRM. Read more about HUTTON, Jamie R.J.
Colour Sergeant Ian Jackson died in service, cause unknown to this archive. Marine Stephen Jacques, a veteran of the Falklands campaign, died in a training accident in Norway. Also killed was Surg. Lieut. Peter Hodgson. Captain Leslie Jole was awarded the M.C., for gallant and distinguished services in Malaya during the period 1st July to 31st December, 1951. Marine James Jones was awarded the MM for gallant and distinguished service with 3 Commando Brigade, Royal Marines in Malaya during the period 1st January to 30th June, 1952. 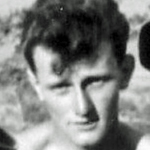 Marine Gerald Kierans, Lima Company, died during an action which resulted in the rescue of hostages taken and held at Limbang, Sarwak. Colour Sergeant Colin Kite died in service, cause unknown to this archive. Marine Luther Leeves died in Egypt. Corporal William Lester was awarded the M.M., for gallant and distinguished services in operations. He was in 5 troop, one of two sections of the Commando that assaulted Limbang Police Station, Sarwak, on the 12th December 1962 to release hostages being held there. Five Marines from his Commando died during this operation. London Gazettes Supp. 43009, page 4693. Sergeant Walter Macfarlane, Lima Company, from Middlesborough, died during an action which resulted in the rescue of hostages taken and held at Limbang, Sarwak. 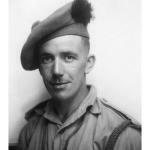 Captain Peter Mackay died in Malaya. He was awarded the M.C., for gallant and distinguished service during an action in which he was shot in the head at Perak Malaya on the 1st May 1951. He died 4 days later . He was leading a charge by his patrol of 11 men against bandit forces firing from a ridge above them . 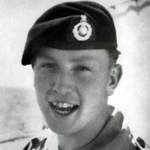 Sergeant Alastair Mackie was awarded the M.M., gallant and distinguished services in operations at Sarawak, Borneo, during the period June 1963 to September 1963. London Gazettes Supp. 43416, page 7156. National Archives file WO 373/139/11. Marine James Macklin was fatally wounded whilst on patrol in North Belfast . Corporal (Acting Sergeant) Charles Macnish, 'S' Troop , was awarded the Military Medal for gallant and distinguished service with 3 Commando Brigade, Royal Marines in Malaya during the period 1st January to 30th June, 1952 . His final rank attained was Colour Sergeant . Sergeant Mitchell McIntyre received a Mention in Despatches in recognition of service during operations on the night of 11/12 June 1982 against enemy held positions on Mount Harriet, Falkland Islands. Marine Alan Middleton received a MiD in recognition of gallant and distinguished services in the Operations in the Near East, October to December, 1956. Corporal Robert Miller was killed by a car bomb while on patrol in Forkhill, Northern Ireland. Corporal Henry Morris died from illness in Egypt. Marine Bernard Price, from Cardiff, died during Operation Musketeer, the Anglo-French Invasion of Port Said, Egypt. Marine Reginald Proctor died in service, cause unknown to this archive. Marine Nathan Ratcliffe died by gunshot wound in the Armoury at Bessbrook Barracks, South Armagh, N. Ireland. The Star online report 9th May 2002. 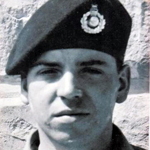 Corporal Robert Rawlinson was awarded the M.M., for gallant and distinguished services in operations. He commanded one of the two sections of the Commando that assaulted Limbang Police Station, Sarwak, on the 12th December 1962 to release hostages being held there. Cpl. Rawlinson was wounded during this operation in which five other Marines died. London Gazettes Supp, 43009, page 4693. National Archives file WO 373/127/98. 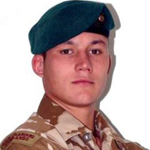 Marine Stewart Rhyce-Rees died during his Commando training. 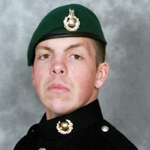 The death at the weekend of an eighteen-year-old Royal Marine who collapsed on Dartmoor during training is to be investlgated by a court of inquiry. Marine Duncan Rhyce-Rees, of Dudley Road, Birmingham was on a Commando march. Marine Mark Ridley died in service, cause unknown to this archive. Marine Hayden Rollason died when hit by a car whilst walking along the A38 road outside Plymouth in the early hours of the morning. Plymouth coroner Ian Arrow found Marine Rollason had died of multiple injuries and ruled the death was accidental. 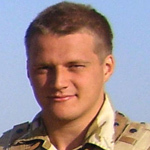 Hayden joined the Royal Marines in September 2004 and joined M Company of 42 Commando Royal Marines in June 2005. He had served in Afghanistan in 2006 and was due to go back later in the year. Corporal William Rowe died in service, cause unknown to this archive. 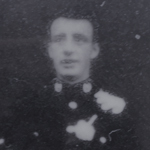 Sergeant Geoffrey Peter Rudland died in RNH Stonehouse after a long illness. Globe and Laurel Jan- Feb. 1984 edition. Marine Ronald Saggers received a MiD in recognition of gallant and distinguished services in the Operations in the Near East, October to December, 1956. Marine Brian Short, From Poole, was killed during Operation Musketeer, the Anglo-French Invasion of Port Said, Egypt. Captain Frederick Sillitoe received a MiD in recognition of gallant and distinguished services in the Operations in the Near East, October to December, 1956. Marine Timothy Simmons died in service, cause unknown to this archive. Acting Sergeant Peter Simpson was awarded the MM for gallant and distinguished services in Malaya during the period 1st July to 31st December, 1951. The exact circumstances of the death of Marine Allen Stanton are not known to this archive.